Elana Karp, Le Cordon Bleu Paris alumni earned her Cuisine Diploma in 2011. 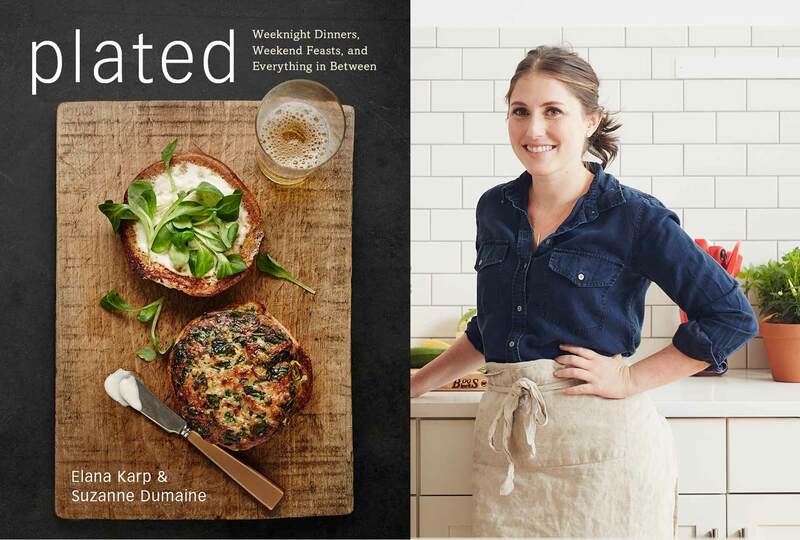 She just came out with a book called Plated: Weeknight Dinners, Weekend Feasts, and Everything in Between, a cookbook full of customizable recipes which you can easily adapt to the season’s freshest produce. She talks with us about her career and what has led her to her current projects. Food has always been a passion of mine. Growing up, every special occasion or big family memory revolved around the dinner table. When I realized it could possibly be a career for me, I knew I had to pursue it. There are so many wonderful memories from my time at Le Cordon Bleu Institute in Paris, it’s hard to pick just one. But if I had to choose, it would be the pop-up dinners my friends and I made. During school we learned so many amazing recipes and techniques, we couldn’t wait to practice them when we got back to our apartments. A few times we actually cooked dishes we had learned in class, packed them up like a picnic and had a pop-up dinner with our Parisian friends in various places around Paris. It was so delicious and so much fun—it was a great way to use what we learned in school. Before going to Le Cordon Bleu Paris Institute, I taught elementary school in New York. After teaching for a few years, I decided to move to France to pursue my passion. I had such an amazing time in Paris and couldn’t wait to come back to New York to apply my skills. When I got home, I worked in food education for a few years, starting cooking class programs in schools around the city and launching a cooking and gardening summer camp for young children. From that experience I knew that I loved to teach people how to cook, but wanted to do it on a bigger scale, so I began looking for other opportunities. I found Plated right when it launched, and knew I had to be a part of it. Plated is a cook-at-home dinner service that ships customers every ingredient in exact portions with an easy-to-follow recipe so that they can cook a fantastic meal at home. I’ve been with Plated for 3.5 years and have led and developed the culinary program from a small start-up business, to a full professional test kitchen that develops 11 new recipes a week, shipping to hundreds of thousands of customers all around the US. About a year ago, I began working on a cookbook. I wanted to create a book that I knew our customers would love, but that would also offer something missing from the cookbook market. What I created was a book full of recipes that focus on customizable, seasonally driven dishes which you can easily adapt to highlight the season’s freshest produce, the time you have to cook, and the occasion. It’s called, Plated: Weeknight Dinners, Weekend Feasts, and Everything in Between and I’m excited to share it with Le Cordon Bleu community! Follow your passion! I knew I loved working in food, but wasn’t sure that restaurant life was for me. I kept looking until I found exactly what I wanted and I’m very happy that I did! For the next few months I’ll be busy promoting my cookbook, and then- who knows!